We recently went out with the Marvelous Marli Miller who is not only a professor at the University of Oregon, she’s also a photographer, and an author! That’s right: she’s a scientist who STILL MANAGES TO HAVE TIME FOR HOBBIES! Meaghan and Amy joined Marli for dinner and while she attempted to eat the Vengeance Team peppered her with all sorts of bizarre questions. Kelly, Amy’s boyfriend joined because Mcmenamins has a great $10 burger and brew deal on Monday nights and, more importantly, because he is also a big fan of Marli Miller. Because really... who isn't? Meaghan: Let’s start off with the hard-hitting questions… so this last weekend we went on a field trip together and I noticed that you got really really excited about conglomerates. Why are they so special to you? Photo by Marli Miller. Because yes, she takes photos of conglomerates. Marli: I’m such a sedimentologist. I’m more of a paleontologist wanna-be than a sedimentologist actually, and I’m not just saying that! I have read books about paleontology! Meaghan: I’ve read some books about paleontology! Marli: I love conglomerates, I think they are the coolest rocks. They are the debris in an old river channel or something, and they’re just, rocks made out of rocks! 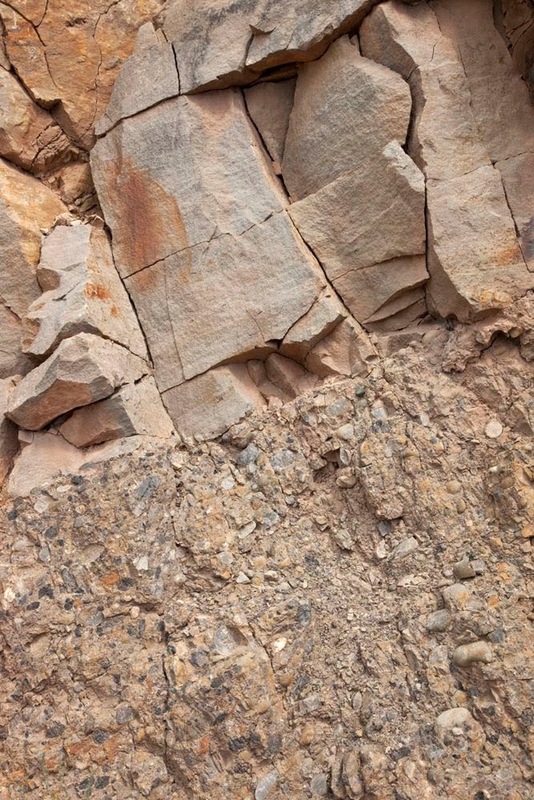 Have you seen a conglomerate clast in a conglomerate? That has gotta be the coolest thing. Kelly: Yeah, it’s pretty meta. Marli: For field camp where we map in Montana there’s this conglomerate that cobbles weather out of, and they’re cobbles. It’s like there are cobbles lying around on the ground and that’s what they were before! And here they are all over again! This is the coolest thing. 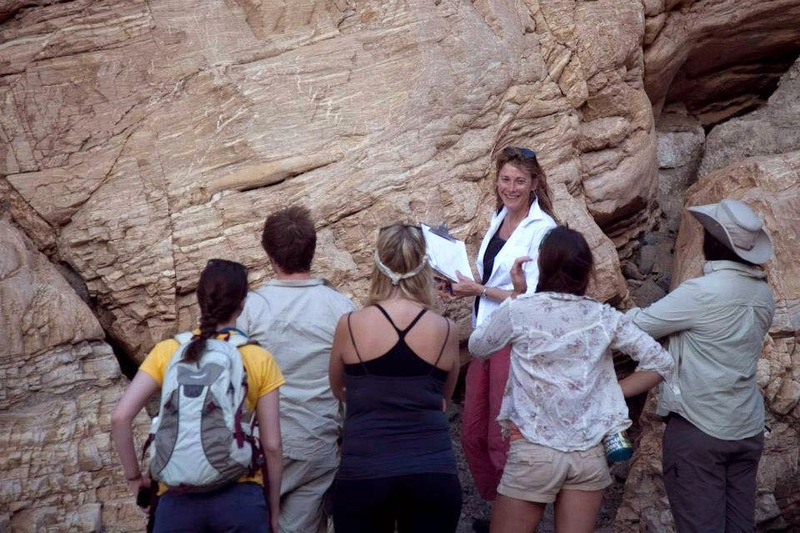 Amy: Structural geology, what is it and why study it why is it important?. Marli: So structure is basically the study of how rocks deform, how rocks change shape. That, and how they move, displace somewhere, or actually change volume. I mostly work in fault zones, mostly using mapping and small scale observations and things like that. I’d say it’s important because it informs our tectonic interpretations. Because I work in tectonics I instantly think of that. But another way structural geology is important is it informs people who try to understand how faults, for example, work. That then leads over into how earthquakes and things like that work. So Ray Weldon and I, Ray who works on earthquakes and earthquake occurence intervals, we often have a lot to talk about because I see things that are exposed in bedrock which is below where he’s looking at things. But I can’t usually get at nearly the detail he can. Meaghan: You recently finished some work on the Roadside Geology of Oregon. Can you tell us a little bit about the book? Marli: Ok well it’s part of the Roadside Geology series (a set of travel guides about geology along American roadways). 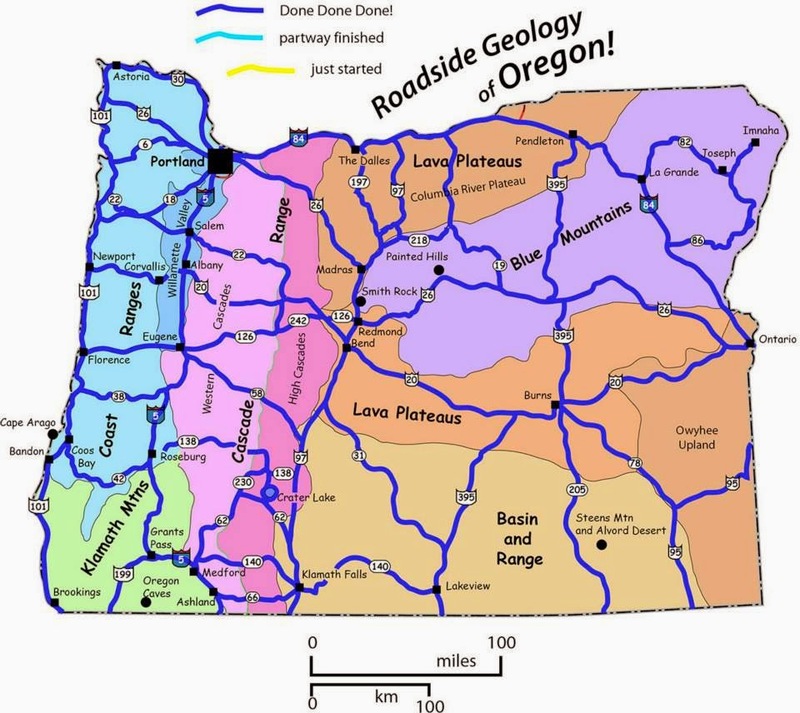 Basically I divided Oregon up into various physiographic regions which are largely based on geology. 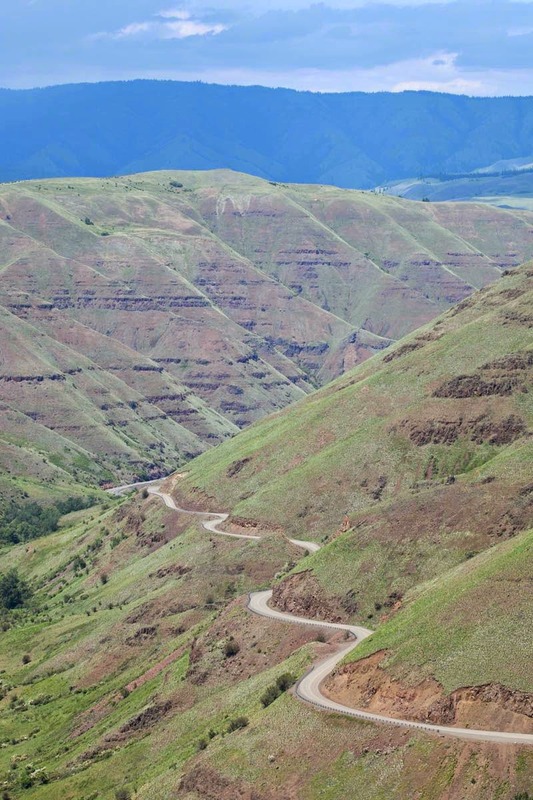 Each region is a chapter which starts with a description of the geologic history and lays out some basic stuff. I drove all the roads, most of them 2 or 3 times - I’d drive the road and make observations pretty much at 60 mph or sometimes more slowly, that was one of the biggest jobs. 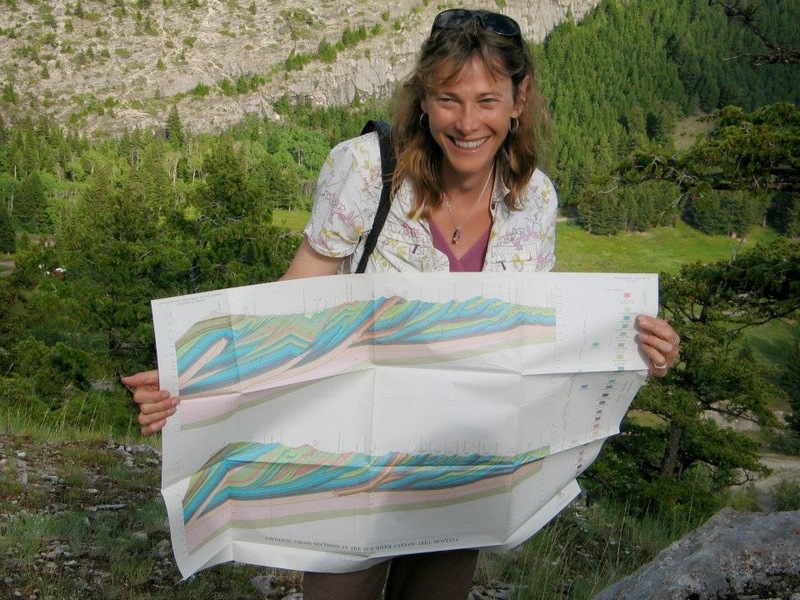 Marli: I would use gsa field guides to help out, geologic maps and looking at more detailed maps because it was actually amazingly confusing! And then I would write it up, and then I would have to go back and check it again. It was amazing how much I changed by going back, I really got reaquainted with the hand lense I’d had for a long time! I had to buy a new one and I mean, it was amazing how valuable my hand lense became! I discovered all these black rhyolites. Y’know we’re used to looking at these volcanic rocks and making a quick assessment on what it is and it is amazing how many rhyolites in Oregon are really really dark colored. I’d look at them and say that’s an andesite or a basalt and no, they were rhyolite. Meaghan: Any idea when it’s going to get published? Marli: It’s supposed to come out in September. Amy: Besides the black rhyolites, what were some of the formations in Oregon that really stuck out? Marli (without ANY HESITATION): Columbia river basalt (CRB). It’s unbelievable! Ok so it starts in Eastern Oregon, flows all the way out the Columbia river and invades the existing rock! Like intrudes them from the GROUND DOWN, forms its OWN MAGMA CHAMBERS, and re-erupts on the seafloor. It’s ridiculous! It’s just hard to believe, but it’s the only way it could have happened - they’re chemically identical, same ages, they’re mapped out from Eastern Oregon all the way to the coast and they form these humongous sills along the Oregon coast and then they’ve got these underwater volcanos! Saddle Mountain is an undersea volcano - you go up there and it’s all these fragmental pillow basalts and there’s all this polygonite and hyoclastite - which I’m learning to pronounce and gradually learning what they are. And Cannon Beach’s Haystack rock? That’s another undersea volcano! Meaghan: So why are they invading down, why are they just not flowing out on the surface? Marli: Yeah! I guess they flowed into these lakes or into the coastline and were able to inject down into the Astoria formation because they’d build up some big pressure gradient from what was coming in and piling up and onto this lava delta… I don’t understand the process really, but that’s what I read, and it kinda sorta made sense...kinda. Yaquina head at Newport? Columbia river basalt. Seal Rock is the southernmost one but that shows intrusive relations with the surrounding rock! Little dykes, things like that. That’s what blew my mind the most. It’s the only aspect of layer cake geology in Oregon! The CRBS are like boom, they form this layer cake . Nothing else is layer cake geology in Oregon, that’s the one reliable marker so I definitely appreciated it. Meaghan: We know that you are a fantastic photographer, what are your favorite things to photograph and do not say conglomerates. Unless it really is conglomerates. Meaghan. People oh, wow… that was unexpected. Marli: No I really like taking pictures of people and I really love taking pictures of geology, kinda anything geological. What would be my favorite thing? Really cool folds. Maybe might be my favorite geological subject. I’m always looking for folds. Marli: Rainbow rock, near Brookings. OMG it is the best, it is the bestest. It’s this red and green ribbon chert, and it’s just all folded, and it’s really the greatest. I think folds are probably my favorite thing to photograph but anything geological, but really I love taking pictures of people. When my kids let me take pictures of them, poor things. Oh, I thought of another thing to photograph, glaciers! Part of it is being there, you know? What a place. You guys get to see them all the time. Meaghan: Death Valley probably has quite the glacial gap. Marli: There are glacial deposits in Death Valley. Proterozoic glaciers... they’re conglomerates! Amy: You teach Field Camp for the Geology Department in Montana. What is your personal teaching philosophy and how does it incorporate field camp? Marli: Field camp’s a little different from other classes but I feel with field camp, my goal is to basically get people to learn how to make maps. I had a professor while I was in grad school named Peter Mitch who could be somewhat difficult but he had this great definition of a geologist: somebody you could put down anywhere and they could make a map. And as a field geologist I kinda think that way, that’s not today’s definition of a geologist by any means but you know it kinda stuck. I really want people to learn to make maps and I want them to be able to go out into the field and make some decisions about what they think they are looking at. They don’t have to be right, but they need to be able to draw careful lines and locate themselves accurately. And all it takes to do that is to make a lot of mistakes and then keep moving on. Amy: We have heard, well, I have heard, because I love this band as well, that you are a big Talking Heads fan. Which is your favorite song to jam to? Meaghan: Is there one that really makes that structural geology come together? Marli: Well there’s that one song, The Fault Zone is Better. Amy: Well our original plan before this dinner thing was to re-write one of the Talking Heads songs and make us all sing that karaoke version together, so you thank your lucky stars that we ran out of time. Marli: That would have been good. I.. I really hate it when people aren’t polite. Meaghan: Alright this is kind of a generic one, How did you know that you wanted to be a geologist? Meaghan: It’s great! It’s a great thing! Marli: I went to college thinking I might major in Geology because its an idea that my college counselor in high school put in my mind because I wanted to do something outdoorsy. I got to my school, and it was Colorado College where you take one class at a time for 3.5 weeks and that’s called a block. I took introductory geology my first two blocks there and I earned a C+; I wasn’t the best student. And there’s a number of reasons for that but I pretty much decided I should major in History or something like that instead because I didn’t really like the class. But I went home over Thanksgiving and I was visiting a friend of mine, and I was driving and it was raining and I got off the highway and I drove through this double roadcut and I looked up and I saw all the water cascading down the off the ledges of this flat-lying Ordovician limestone in Cincinnati, and all of sudden it was OMG that’s erosion! This is really going on! It just goes on whether or not we’re there or not and all of the sudden it just became real! That clicked with me, and I took a geology class the following year, it was Geomorphology and I just fell in love with it. It didn’t make sense to me in Intro to Geology but I think having a C+ was one of the best things I ever did! Amy: Very cool, and kinda along those lines of how people get interested in geology, where do you think the future is within Geology? Amy: I mean, you do advise undergraduates, right? 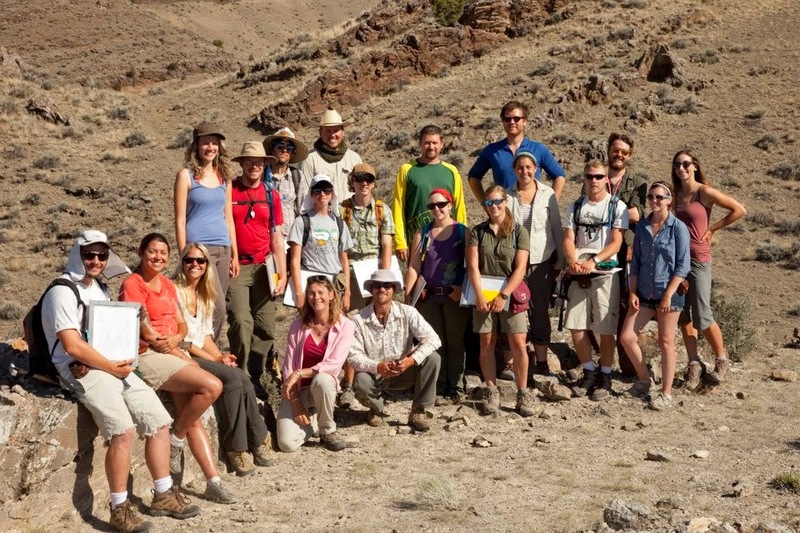 What would you tell a student who wanted to go into an up-and-upcoming geological career? Marli: Well, I am an adviser, so I do have these little talks with people. I tell them that if they want to do geology as a career they really need to get a Masters degree. Whatever gets you most interested as an undergrad, or as a masters student, or even a PhD, it’s pretty translatable into other fields if you wanna stay in geology. So I think in grad school you should follow your interests. We have students who did PhDs in experimental petrology who are working in the oil industry. A lot of my colleagues when I was a grad student did field geology and were then recruited by oil companies to do seismology. So it’s not necessarily “what do you need to go into” if you want to get a career in an oil company. Marli: Yes! All that stuff and LiDAR, the technology stuff seems to have more and more people are doing it. And you know, as you start replacing the older people who are kinda techno-phobes like myself, it would help to know those things. 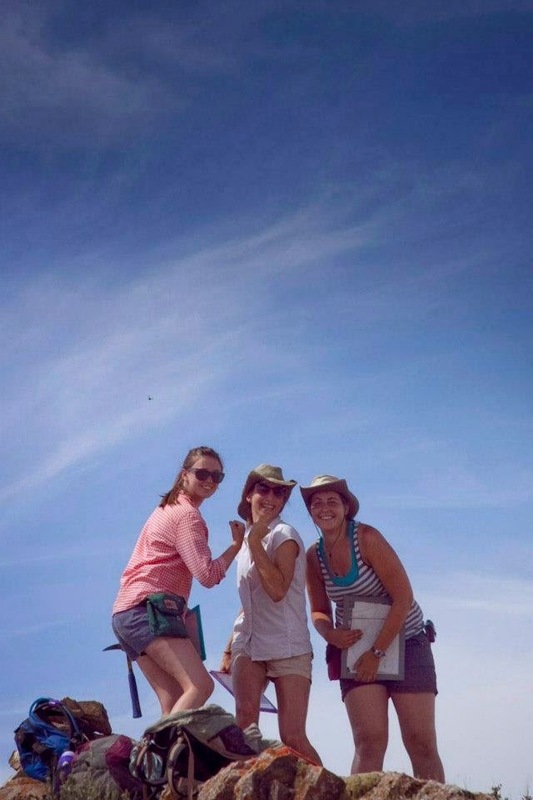 Meaghan: So as a woman in science, particularly a male-dominated science like geology, do you have any tips for women inspiring to be in academia? Marli: Well, I would say hang together. It really is tough, it is really tough getting a job. You hear a lot of guys complaining about all the advantages women have in getting jobs and it makes me want to strangle myself because they don’t! We don’t have advantages getting jobs we have real disadvantages getting jobs and its not just getting to the point of getting the job, its the whole interview process. You interview at some place that’s dominated by men, and even if they say they want to hire a woman you’re in a natural disadvantage. It just seems to me that men communicate a little better with men, and women communicate a little better with women, so you’re talking with people and the guys connect with each other better and so they’re more likely to hire a man. I mentioned that at a faculty meeting once and one of our more senior members who I really respect, he just thought I was crazy. Amy: Very tricky, a general problem. Marli: I think we need support. And the place to get meaningful support is from other women scientist. But we’re a mixed bunch too - we’re as diverse as any group and some are completely not interested in that and thats the way they are. Meaghan: Ok so these are rapid-fire questions - we want you to answer as quickly and as succinctly as you possibly can. Meaghan: Last question. We decided to play interpretive dance charades with you but instead of acting them out here at the restaurant like weirdos, we videotaped ourselves last night at home (still like weirdos). Marli: You’ve already done this?! Meaghan: Perfect! Exactly like that! Meaghan: Just shout it out when you know it! Meaghan: So that’s all we have, that’s it, do you have any questions you wanted us to ask? Meaghan: Ok. Where did you get your hat? Marli: Holiday Market, a woman named Corona she also sells things on Etsy but I just bought a hat. Are you guys interested in checking out some of Marli's amazing photography? Well, you should be - photographs of fantastic geology are available at the perfect resolution for powerpoint... for free! 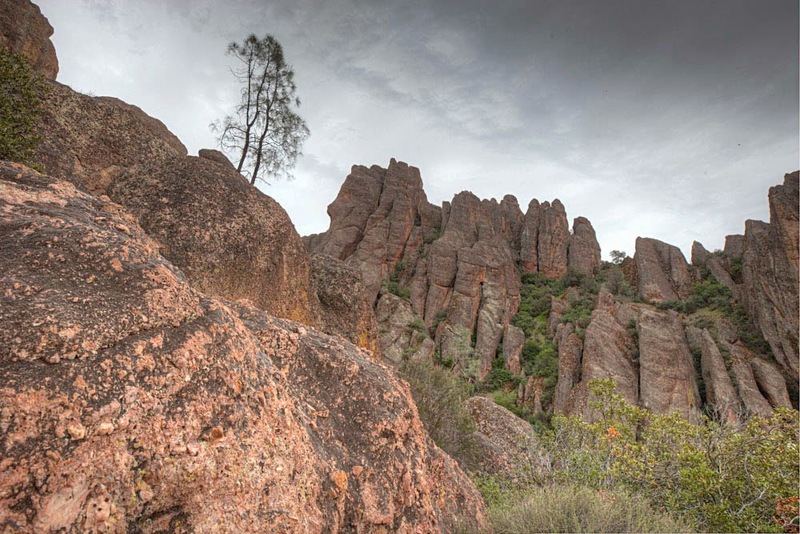 That includes some truly beautiful shots, like this one from Pinnacles National Monument.